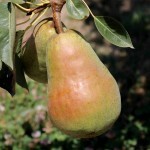 A sweet, juicy pear with yellow skin. It is good for canning and eating fresh. Needs a pollinizer. Budded on semi-dwarf root stock. 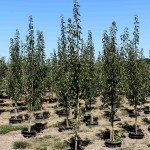 Fruiting pears need full sun and a soil with good drainage. Obtain local advice for more cultural information.